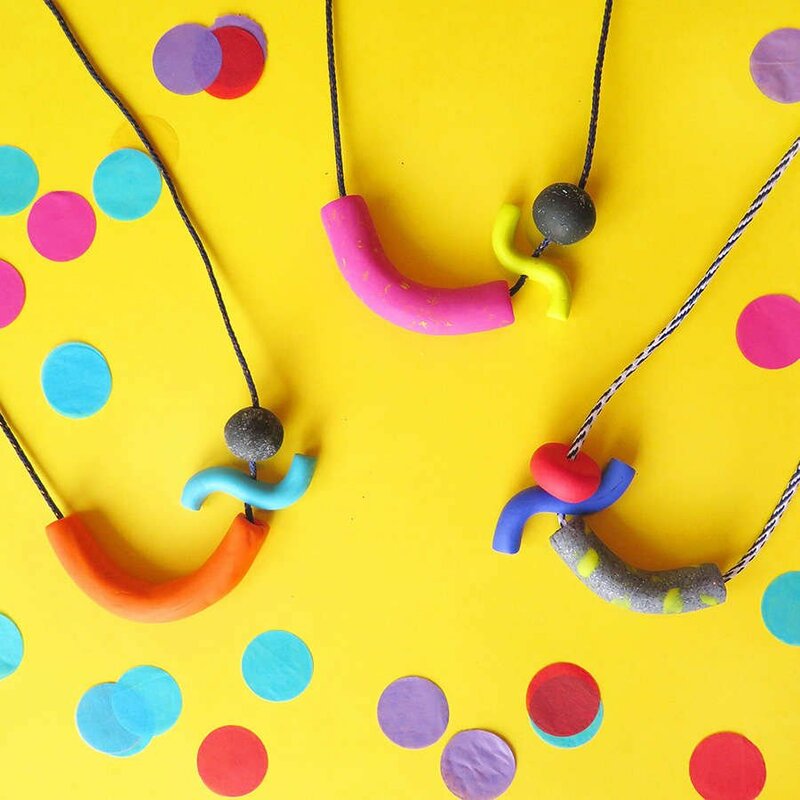 Blossoming from a love of bright colours and retro prints, Louisa Mallet created “Baked By Lou”, a seriously cool and nostalgic mix of functional and wearable baked clay items. If fun and colourful is your thing, there’s no doubt this is the collection for you! Based in South Wales, Lou studied Fine Art & Art History in University and graduated in 2009. She began with print-making and textile installation whilst undertaking her degree, and later moved onto a PGCE in 2011. Hungry for knowledge and to progress her skills, Lou attends various workshops and evening classes, constantly developing her craft and abilities – Lou is a continuous learner and with all the exciting new pieces in her collection, she’s definitely making the most of her ever expanding skillset! 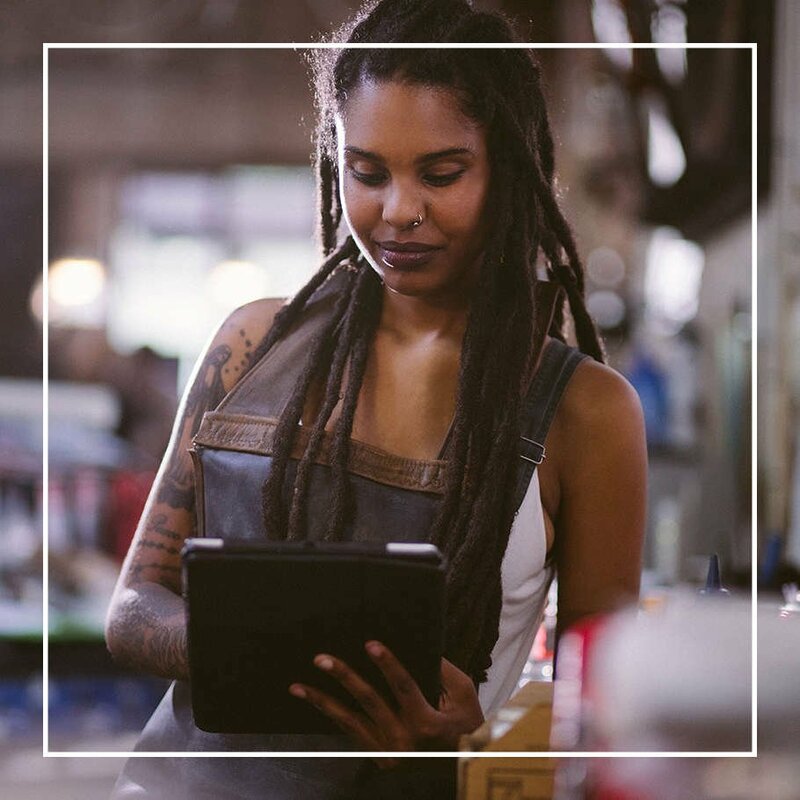 After a few years of creating as a hobby, Lou finally took the plunge to being a practicing artist a few years ago and officially began her business in 2017. 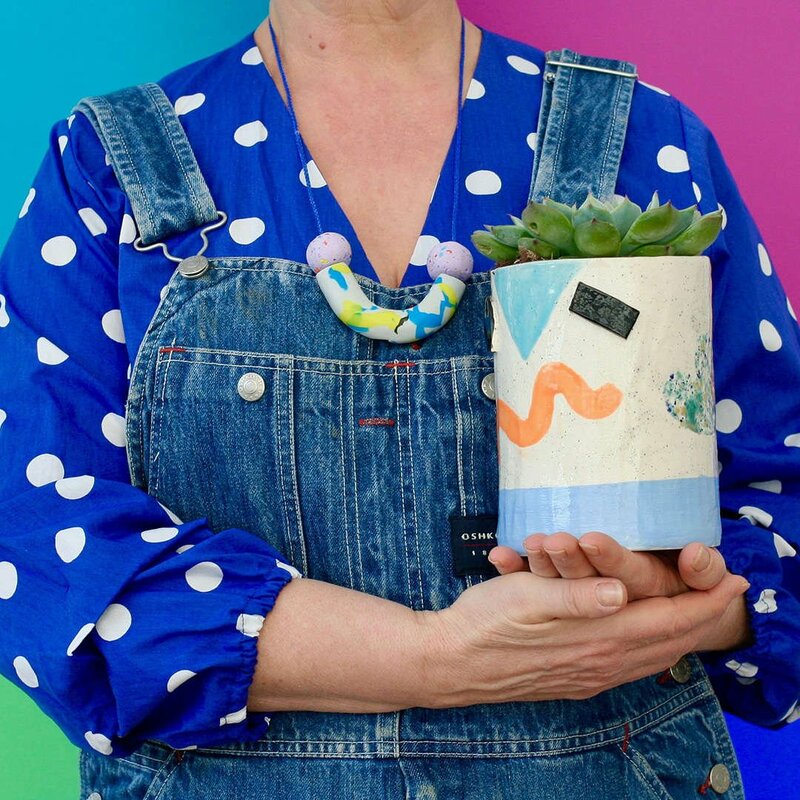 Starting with jewellery and homeware, and now expanding into prints and textiles, she releases small batches of items with no two ever the same – once they’re gone they are really gone! We love one-of-a-kind pieces and Lou's whole collection is exactly that. Bauhaus & Memphis design are clear inspirations here – as are fierce women such as her Mother, who is the seriously cool model that she regularly uses to model her unique pieces! Take the time to reminisce when looking at her pieces and you’ll find yourself taken back to the 80’s and 90’s – “Saved by the Bell” & “Fresh Prince of Bel Air” vibes galore. Lou's creations are bright, fresh, and full of energy. Designed to uplift your spirits and transform your home. Whether you’re rocking a pair of dangly earrings, potting a plant into a jazzy ceramic pot, or hanging your first colourful print up on the wall. The feeling of fun is infectious and your home deserves it too!